The Department of Electronics and Communication Engineering has been established in order to impart futuristic value based quality education in Electronics and Communication Engineering and to facilitate dissemination of the acquired knowledge by the students for the welfare of the society and to enable the students to excel in competitive examinations for higher education and employment. 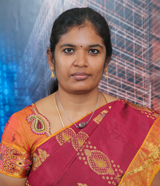 The department has a team of committed faculty members who aspire in teaching and research with knowledge in the areas of Electronics, VLSI Design, Communication Systems, and Embedded Systems. 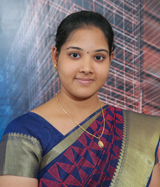 The department has established Centre of Excellence such as Keysight Centre for Excellence in RF design and NI-Graphical System Design Centre to promote and develop research capabilities and professional activities of the faculty and the students. The department strives to produce top-notch engineers with global competence for industry, research and academia. The department aims to foster innovation, design, and creation of eco-sustainable products to meet the growing technological demands. The department is well-equipped with state-of-art laboratories in the field of Electronic and communication systems. The following laboratories are available in ECE department with latest equipment and software tools. The main objective of this laboratory is to give hands-on experience in the design and implementation of analog and digital circuits. Students learn to design and implement different types of amplifiers (analog), combinational and sequential circuits (digital). Integrated Circuits laboratory is a well equipped laboratory with integrated circuits that meet the industry standards. The laboratory consists of ICs mainly used in Digital Electronics and Linear Integrated Circuits. Some of the major components available are Cathode Ray Oscilloscopes, Function Generators, Digital Integrated Circuits Trainers, Integrated Circuits Testers and Multi-meters etc. 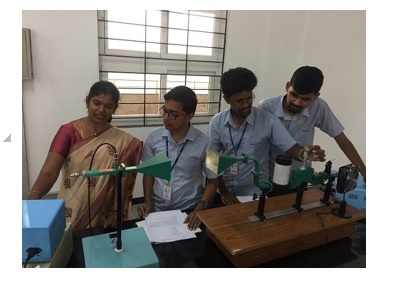 This laboratory is one among that provides core practical oriented learning facility in the department to enable the students to come up with innovative designs. Digital Signal Processing Lab is powered by Texas Instruments. 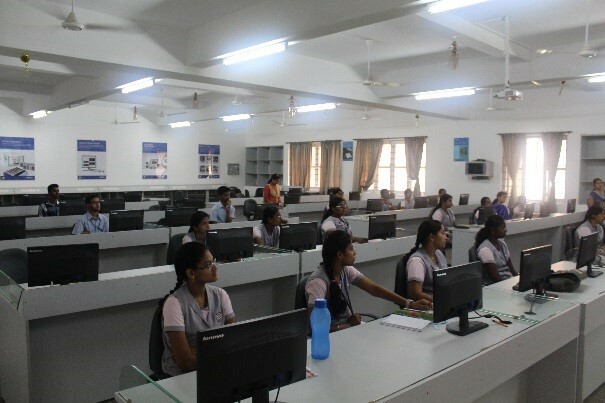 This lab introduces students to DSP design and analysis techniques which are considered to be the prime component of knowledge for DSP engineers. This also serves as a solid grounding for advanced research work in DSP. 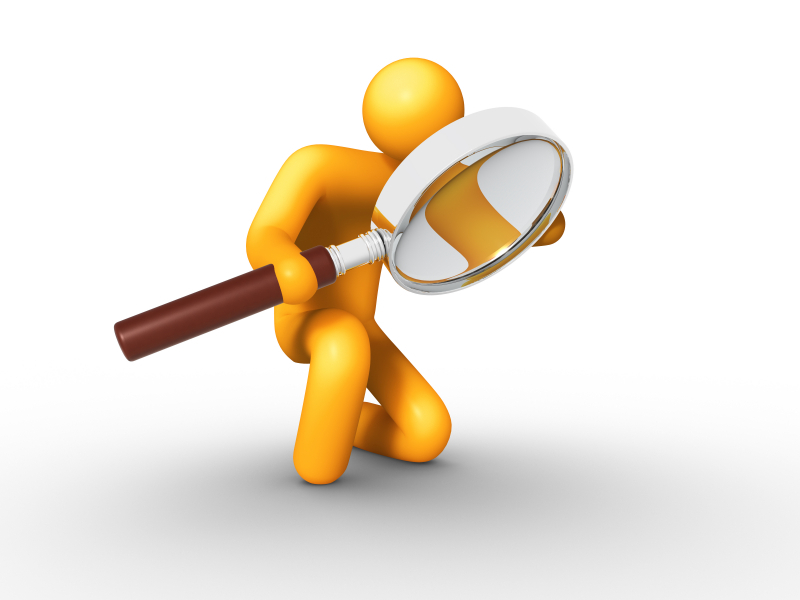 The Lab is equipped with complete set of Hardware and Software to perform DSP experiments. Communication Systems Lab is powered by Keysight Technologies. A wide range of experimental facilities equipped in Communication System Laboratory enables the students to gain a deep insight into the design and working of various analog and digital modulations. It provides necessary infrastructure in the area of RF and Wireless Communication. The optical and microwave laboratory provides knowledge about the optical and microwave components and in analyzing the optical and microwave equipments. Electronics and Communication Engineering Association (ECA) inaugural function was held on 18 August 2017. 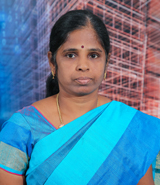 Dr R.Jayapal, Former Additional General Manager, BHEL, Trichy was the chief guest. The inaugural function was initiated with a prayer song. 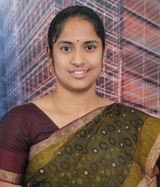 Welcome address was given by S.Sujanya, IV year, Secretary/ ECA followed by installation of office bearers by Dr P Vetrivelan Associate professor of ECE. The agenda for academic year 2017-2018 waws given by Ashwin kumaran, IV year, President / ECA.Introduction of the chief guest was given by Join Secretary Ridhuparan, II year / ECA. The chief guest addressed the gathering and delivered inaugural address. His main motive is to invoke the students to innovate new things. He also told a small story on the development of facebook by Mark Zuckerberg. The final touch was given by N.Saranya, II year by narrating a wonderful Tamil poem. Finally, vote of thanks was proposed by S.Abbas Theen, III year, vice president of ECA. 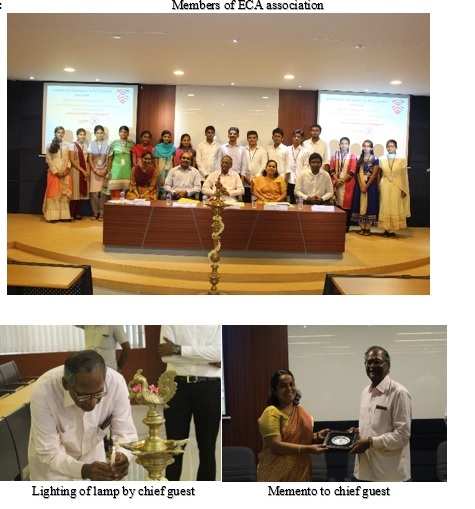 The inaugural function of ECE Association was conducted on 5th August, 2016 at 3:45 pm in the E3-407 Seminar hall, PSG Institute of Technology and Applied Research, Neelambur. Dr. N. Nandhakumar, Senior Vice-President, LG Technology Centre of America, USA was the chief guest for the occasion. The welcome address was given by Mr.Koushik Kumar, Secretary, Department of ECE. Ms.Malavika, Vice-President, Department of ECE introduced the distinguished chief guest and brought out some of his remarkable achievements. The function was held in a grand manner in the presence of the honorable HoD, Dr. E.Malar, Department of ECE, faculty members, teaching and non-teaching staffs, and students. The chief guest gave a wonderful speech on 'New Video and Display Technologies-For Next Generation Home Entertainment'. He covered the topics like trends in display viewing experience, aspects of premium quality images, evolution of display technologies, OLEDs, High Dynamic Range (HDR), human eye perception level, optimization, and showed few statistical data concerning the same. The speaker gave an overall picture of the display technologies used in different television and mobile screens. He also marked that the display technologies have undergone a wide change within a spectrum of 2 years and the cost of the display screens have decreased considerably taking into account the mass production of the companies. He also pointed that the trend among the television screen manufacturers lies in providing the best quality frames within the lowest cost possible. He also pointed out the difference between the iPhone screens and the LG display screens. He also elaborated the different display technologies used by leading manufacturers like OLED and LCD display screens and provided a differentiating picture of the two technologies. He also threw light on few budding areas like wide color gamut, high frame rate and high dynamic range. At the end of his speech, questions were put forward to him by the students. As part of the inauguration event, office bearers of the ECE Association were introduced and they took charge of their respective positions. Prizes for various events like Techno-talk, Pro-Zeal were distributed to all the winners and participants. The end of the ceremony was marked by vote of thanks delivered by Ms.Kavya, Treasurer, Department of ECE, followed by National Anthem. The event was successful and turned out to be a significant occasion. 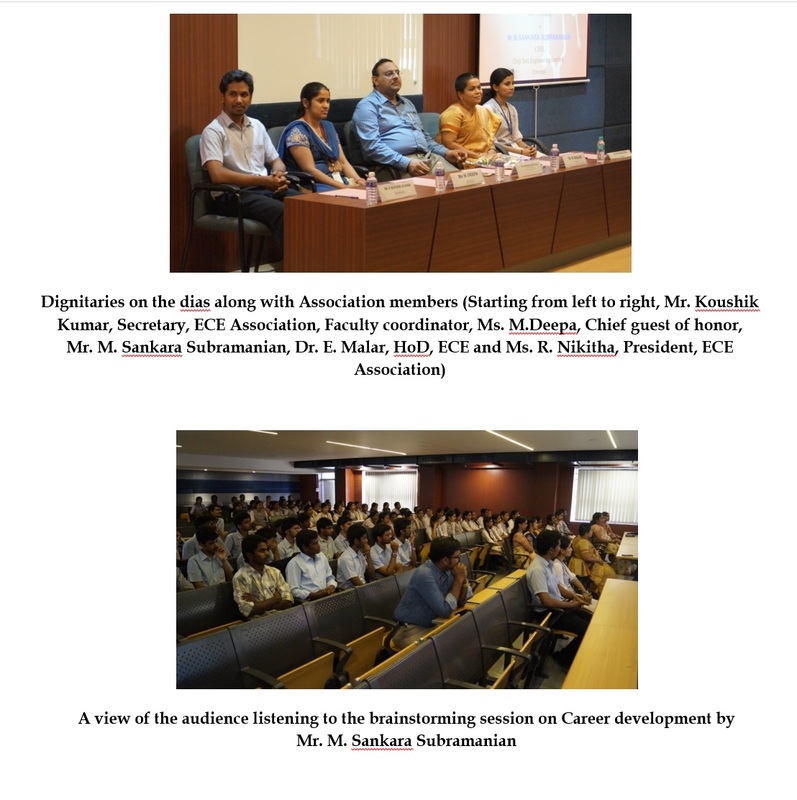 The inaugural function of ECE department association was organized on 18th August, 2015 at 2.30 pm in the Hall of Fame, PSG Institute of Technology and Applied Research. Mr.Solaikutty Dhanabal,Academic Manager, National Instruments, Bangalore and Mr.S.Arunkumar, Director of Research and Development Division, Electrono Solutions Pvt.Ltd, Bangalore were the chief guests for the occasion. 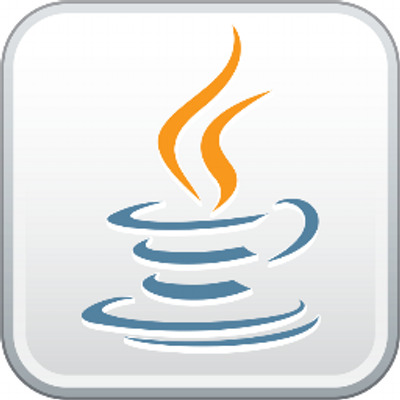 The Value Added Course on "Basics of Java Programming" was handled by Dr T Vairam, (Assistant Professor (Sr. Gr. )), Department of Information Technology, PSG College of Technology, and Coimbatore from 22.07.2017 to 02.09.2017. Number of Participants who got benefitted from this course are 35. A value added course on soft computing was organized by the Department of Electronics and Communication on 27-06-2017 and 28-06-2017. 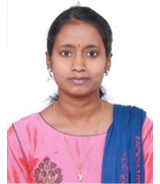 Dr. S N Deepa, Department of EEE, Anna University was the resource person for the workshop. The major concepts of the workshop included neural networks and genetic algorithms. The main motive of the workshop was to give the students an overview of what machine learning was all about. Theoretical concepts of the neural networks were clearly depicted and the need for machine learning in the current scenario was also explained. Hands on practice on training a neuron was given through MATLAB. Recent advancements in the field of machine learning mainly fuzzy logic, nature inspired models were introduced to the students. 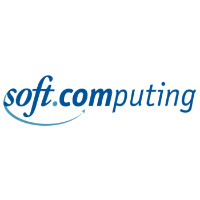 The workshop was an effective initiative so that the students could study further in the field of soft computing. 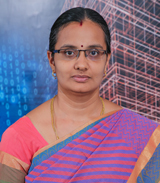 The Value Added Course on Arduino was conducted by Dr.M.Jayasanthi, Associate Professor, Department of Electronics and Communication Engineering, PSG Institute of Technology and Applied Research, Coimbatore. The course covered the key points of microprocessor, microcontroller and embedded system design. 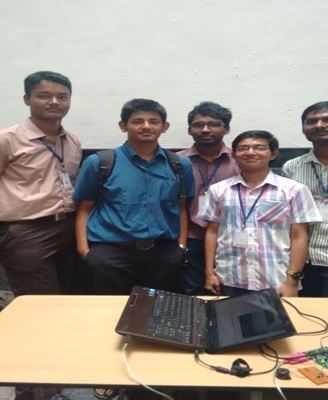 It was mainly focused to enhance the students' knowledge in embedded system design development. The duration of the course was from 28.12.2016 to 11.04.2017. Totally 32 Participants attended and benefitted from the course. 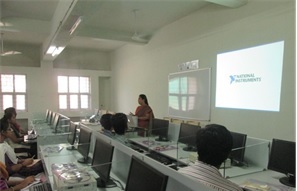 A value added course on VHDL (Very high speed integrated circuit (VHSIC) Hardware Description Language) using Xilinx ISE was organized by Ms.Vishnupriya A (AP-ECE).It was conducted for the second year students of Electronics and Communication Engineering department, during their fourth semester for a period of five weeks. A value added course on "Introduction to Matlab" was organized by the Department of Electronics and Communication Engineering for the first year students of ECE during the II semester from 06.01.2017 to 10.03.2017. 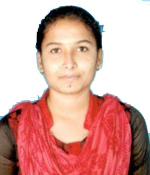 The software that was covered as a part of this course is Matlab. The sessions were conducted in two batches which were swapped after the completion of one software. 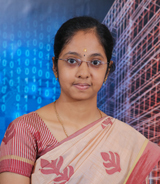 The sessions were handled by Ms.M.Deepa, Assistant Professor, ECE Department, and PSGITECH. Total number of participants attended the workshop are 42. 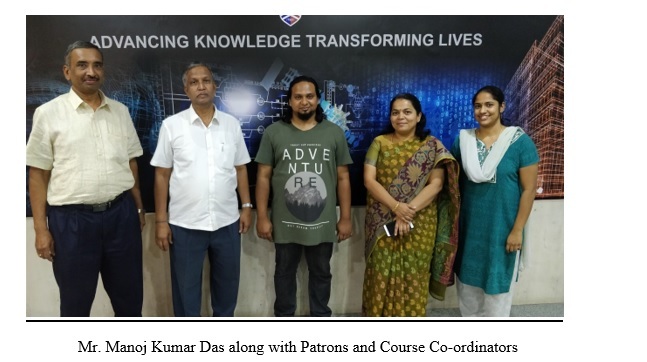 The Value Added Course on "System Analysis - An Integrated Approach" was conducted by Mr D Venkatesh, Assistant Professor, Department of Electronics and Communication Engineering during odd semester of 2016-2017. Total number of Participants for this course is 25. A value added course on "Industrial Automation" was organized by the Department of Electronics and Communication Engineering for the second year students of ECE during the III semester from 07.07.2016 to 22.10.2016. 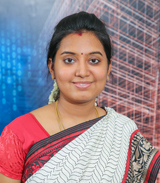 The softwares that were covered as a part of this course are LabVIEW and Matlab. The Department of Electronics and Communication Engineering in collaboration with IETE and Texas Instruments has organized a Two day FDP on Embedded System and Wireless Connectivity with IoT Applications on 18.1.2019 & 19.1.2019. 16 Faculty members from the Department of ECE and 2 faculty members from the department of EEE participated in the FDP. The session was handled by the resource persons Ms. Kavitha, Mr. Madhusudhanan and Mr. Karthikeyan from Texas Instruments, Bangalore. 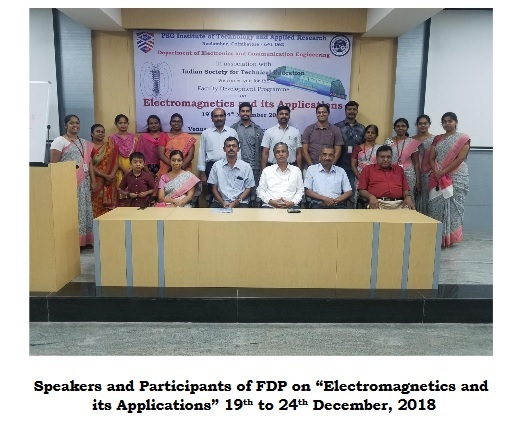 The Electronics and Communication Engineering Department has organized a one week FDP on "Electromagnetics and its Applications" from 19th to 24th November 2018. 12 Faculty from different engineering colleges participated in the FDP. The FDP covered the fundamentals of electromagnetics with emphasis on its physical understanding and its applications. Dr R Lal Tummala, Professor and chair, Electrical and Computer Engineering, San Diego state University visited Department of Electronics and communication Engineering to address the students on 'Higher education and Research' on 24.1.2018. His scientific contributions include 28 publications and projects in the areas of Control, Robotics and Embedded System. The 27th August, 2017 turned out to be an indelible day to the students of ECE at PSG Institute of Technology and Applied Research. This added a meaning to the yet another remarkable day, being Dr.A.P.J.Abdul kalam's Second death anniversary. The session began with a minute silence to respect the demise of the great soul. ECE Association organized a guest lecture on Internet of things in Industries on 16/8/2017. 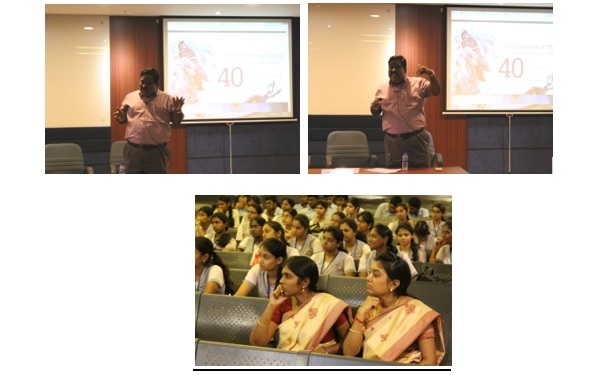 Mr.Ravichandran, General Manager from Lakshmi Electrical Control Systems delivered the lecture. This guest lecture focused on basics of IoT , IoT Products and opportunity in this field in market. 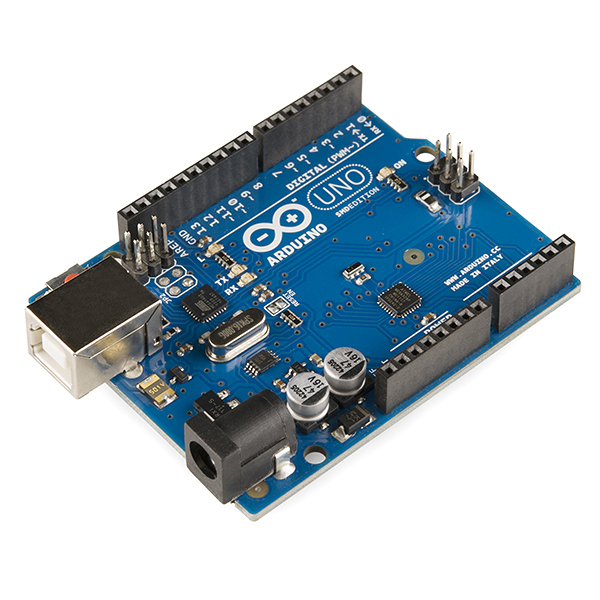 He listed out the current product developments in IoT field and provided an overview of IoT with many examples. As a part of the ECE Association Activity, a talk was delivered by Mr. V.S. Ramesh of Texas Instruments (TI) India university program on 26.7.2017. Mr. Ramesh enlightened the students of second and third year about the TI India Innovation challenge 2017. This design contest is the joint collaboration of the Department of Science and Technology, Government of India and Texas Instruments. The department of ECE organized a placement orientation program for final year ECE students on 24.6.2017. The Chief Guest was Mr.Kanagaraju K, Head - Instruments & Sensors Engineering, Engineering Service department, Pricol Corporate Service Limited, Coimbatore. The session began with the essential aspects regarding placement. The main attributes which help to crack the interviews are confidence, a good overall preparation and communication skills. The entire process is about how well we reflect our personality in a pleasing and impressive way. 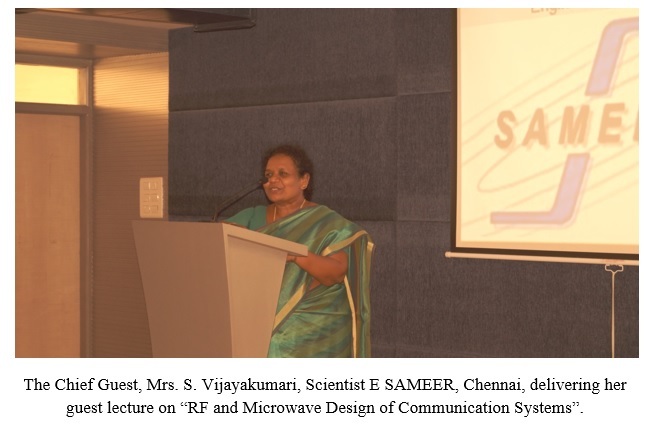 On behalf of ECE Association, a guest lecture was organized on the topic 'RF and Microwave Design of Communication Systems' on 24th March 2017 at 09.30 am in E3 Seminar Hall, PSG Institute of Technology and Applied Research. 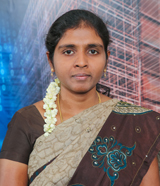 The speaker was Mrs.S.Vijayakumari, Scientist-E, SAMEER, Chennai. She began the lecture with an introduction about the basic concepts of communication systems such as the process involved in transmission, reception and the range of various radiations. 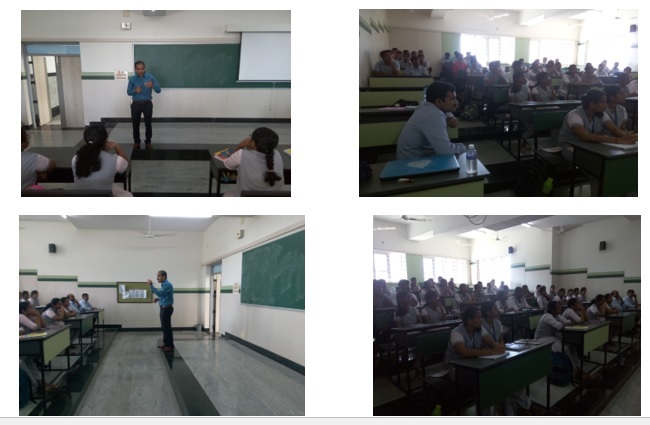 The Institution of Engineers (IE) India Students Chapter and Electronics and Communication Engineering Association (ECEA) organized a guest lecture on 30th of August on the topic "Physical Layer Aspects of Wireless Communication". A brainstorming session on career development was delivered by Mr .M. 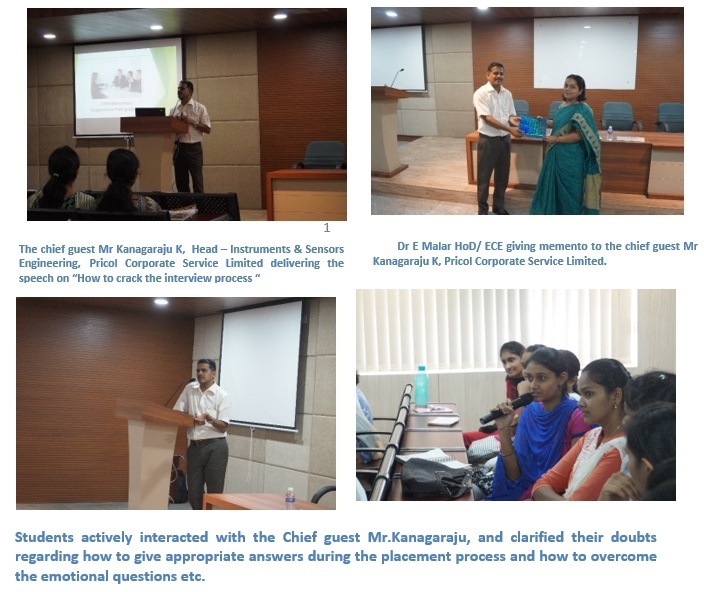 Sankara Subramanian, Chief Executive Officer of Chip Test Engineering Limited on July 15th 2016 for the second and third year students of ECE Department at PSG Institute of Technology and Applied Research. The faculty members of ECE Association played a vital role in organizing the session. 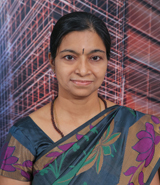 The speaker is an Engineer in Electronics & Communication with 20+ years of experience in the semiconductor industry. 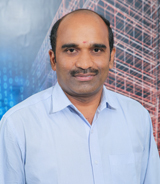 He has headed the IC Test department of a leading semiconductor company in India for eight years and has successfully implemented many test development projects for various customers. The Electronics and Communication Engineers Association organised a guest lecture on the 23rd July, 2016. Mr K R S Ravikumar, CEO, RF Wave Zera Technologies, Bangalore delivered a lecture on the topic 'Recent Trends in RF'. The lecture started with the introduction on the RF and microwave frequency bands and their advantages. The significance of the frequency bands was explained with practical applications like Bluetooth, GPS, and FM of a mobile phone. Other applications like Wireless Communication, RADAR, Meteorology, RFID, Broadcasting were discussed. National workshop on "FPGA BASED SYSTEM DESIGN USING VIVADO DESIGN SUITE and ZYNQ-7000 SoC" on 18.12.2018 & 19.12.2018. The department of Electronics and Communication Engineering has organized a two day National workshop on "FPGA BASED SYSTEM DESIGN USING VIVADO DESIGN SUITE and ZYNQ-7000 SoC" on 18.12.2018 & 19.12.2018. 17 participants from different engineering colleges and students of PSGiTECH participated in the workshop. Three day workshop on "Embedded Systems and IoT applications" was organized by the Department of ECE during 29th, 30th June and 2nd July 2018. The resource persons for the program were Mr.V.S.Ramesh, Mr.Sai Prasad and Mr.K.Srinivasan from Texas Instruments (TI) University Program. 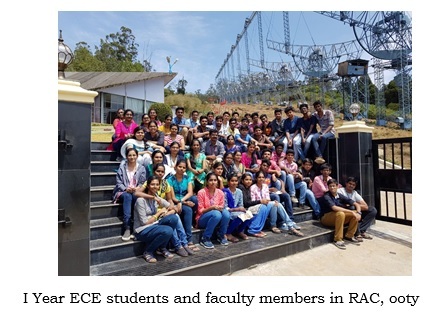 54 students and 4 faculty members of ECE department participated in the event. Workshop on "Phased Array Design Simulation with Keysight solutions" on 7th February 2018. The Department of ECE organised a workshop on Machine Learning using Python for III year students on 22.12.2017 and 23.12.2017. 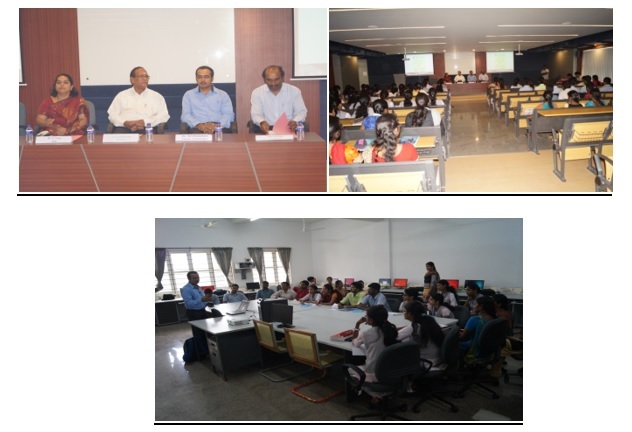 Prior to the workshop, a two day session on Python was arranged in association with CSE department. Mr. Manoj Kumar Das, Senior Research Analyst, MuSigma, Bangalore was the resource person for Machine Learning using Python. The topics covered as a part of the sessions are Linear and Logistic regression, Introduction to Deep Neural Networks and Tensor Flow. A five day faculty development programme on Electromagnetic, Microwave, RF and Antenna design was organized by the Department of Electronics and Communication Engineering from 20th to 24th November 2017. Mr.K.Kaviarasu and Mr.K.Karthikeyan from Entuple Technologies, Bangalore were the resource persons. Nearly 20 faculty members and research scholars from various institutions actively participated in this FDP. A five day workshop on "Android Application Development" was organized by the Department of ECE from 15.12.2017 - 19.12.2017. 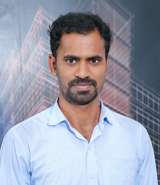 The resource person for the programme was Mr.S.Viswa kiran, Training Consultant, Starworks Technologies Pvt. Ltd, Bangalore. 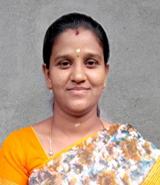 Ms.Sowmiya, AP/ECE was the co-ordinator of this workshop. A Three day workshop on "Embedded System Design with AVR controller" was organized by the Department of ECE , PSGiTECH from 06.12.2017 - 08.12.2017. 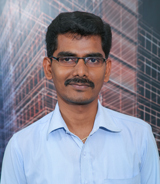 The resource person for the programme was Dr. K. Hariharan, Associate Professor, Dept of ECE, Thiagarajar College of Engineering, Madurai. Dr.G.Santhanamari, AP (Sl.G) and Mr.K.Paldurai, AP were the co-ordinators of this workshop. A two day workshop on "Big data analytics" was organized by the department of ECE on 25.08.2017 & 26.08.2017 at Computer Center lab. 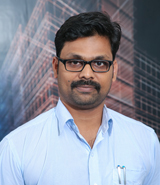 The resource persons for the program are Mr. Prabhakaran (End-to-End Management, Tata Consultancy Service (TCS). 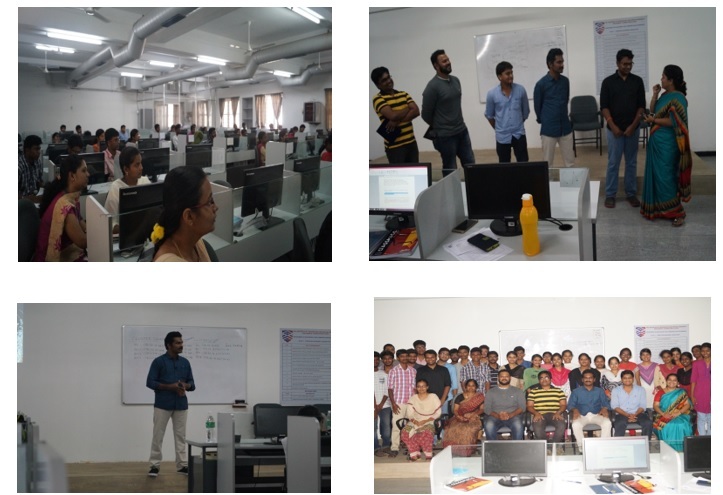 ), Mr.Arun (Technical manager - Big Data Analytics, Infosys), Mr.Prashanth (Data Science Engineer, Tech Mahindra) and Mr.Senthil (Associate Software Engineer, CTS). 55 students from all classes of ECE attended the workshop. A four day workshop on Analog IC design was organised by the department of Electronics and Communication from 21st to 24th August 2017. Two resource persons Mr.Akhil Raj and Mr.Anuraj from Entuple Technologies were the trainers. The first day of training proceeded with the introduction to Integrated circuits and the evolution of the technologies in the field of Analog Integrated circuits. The Department of Electronics and Communication Engineering in association PSG Centre for Non-formal and Continuing Education conducted a two day Hands-on training session on "LabVIEW" on 18th and 19th August, 2017 for the second year students of ECE. A total of 23 students participated in the workshop. 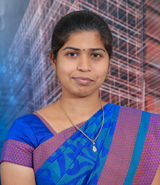 The sessions were delivered by Ms. M Deepa, Assistant Professor, Department of ECE, PSG Institute of Technology and Applied Research. The department of Electronics and Communication Engineering (ECE) organized a demo workshop on "Hands-on Learning with Analog Discovery" on 24/02/2017 at Integrated Circuits Laboratory (IC Lab), Dept. of ECE. The resource person for the workshop was Mr. Raja. 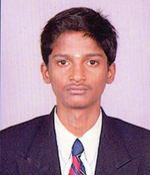 S, Senior Engineer, iSquare Systems, Coimbatore. 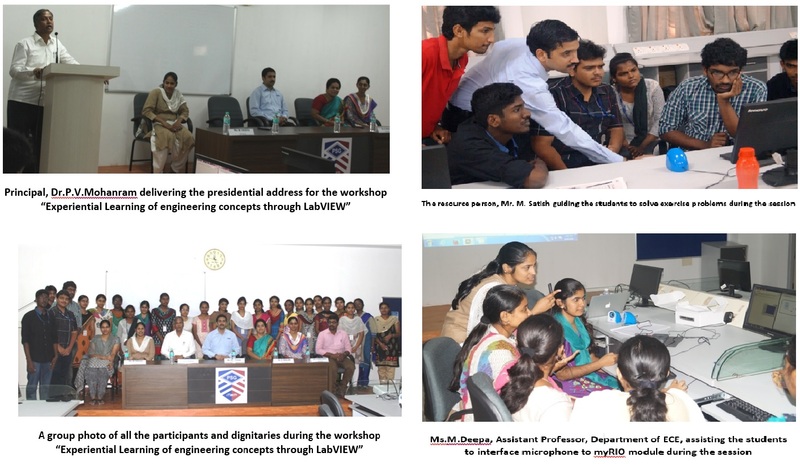 A workshop on "EXPERIENTIAL LEARNING OF ENGINEERING CONCEPTS THROUGH LABVIEW" was conducted by the Department of ECE on 20th of August 2016 for the second and third year students of PSG Institute of Technology and Applied Research. Mr. M Satish, Senior Marketing Manager, National Instruments was the resource person for the day. 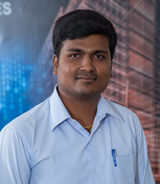 He started out as an Application Engineer at NI 12 years back and has now grown to become a Marketing Manager. 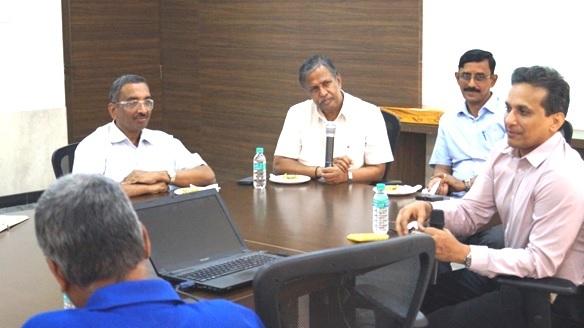 Mr. Jayaram Pillai, Managing Director, National Instruments (IndRA), Bangalore, interacting with Principal and the faculty of ECE department at PSGiTech on 22.06.2016 about setting up of a Center of Excellence (CoE) in Virtual Instrumentation and Graphical System Design. Mr. Solaikutty Dhanabal, Academic Manager, National Instruments and Mr. J. Visweswaran, Academic Technical Consultant, National Instruments , were also present during the discussion. Mr Jayaram Pillai, Managing Director, visited the PSGiTech Campus on 22nd June 2016. He was greatly impressed by the world-class infrastructure facility. He made the following suggestions to the faculty of ECE for making our students industry - ready. Workshop on “Sensor Interface Using Lab VIEW”on January 31st, 2016, February 1st, 2nd and 3rd, 2016. A workshop on “Sensor Interface Using Lab VIEW” was organized by the Department of Electronics and Communication Engineering for the first year students of PSGiTech on January 31st, 2016, February 1st, 2nd and 3rd, 2016. 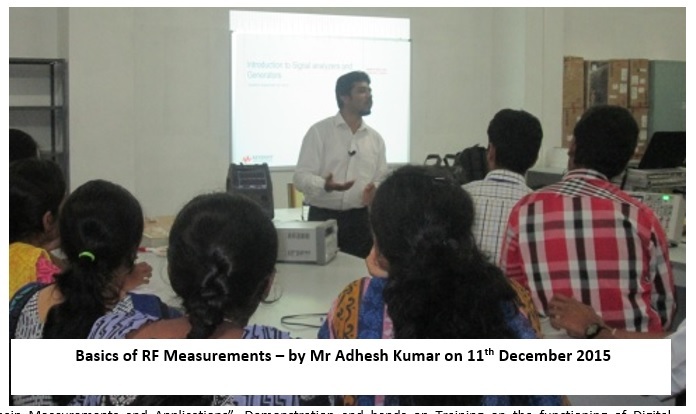 A one day workshop on "Basics of RF Measurements using KeySight Instruments" was organized on 11th December 2015. Mr.Adesh Kumar Jain, Application Engineer, KeySight Technologies and Mr.Rajkumar Venkatesan, Assistant Manager, Sinetec Technologies were the resource persons. Mr.Rajkumar Venkatesan explained about the "Time Domain Measurements and Applications". NI YANTRA 2K17 Annual Design Contest finals was held on 25th October 2017. 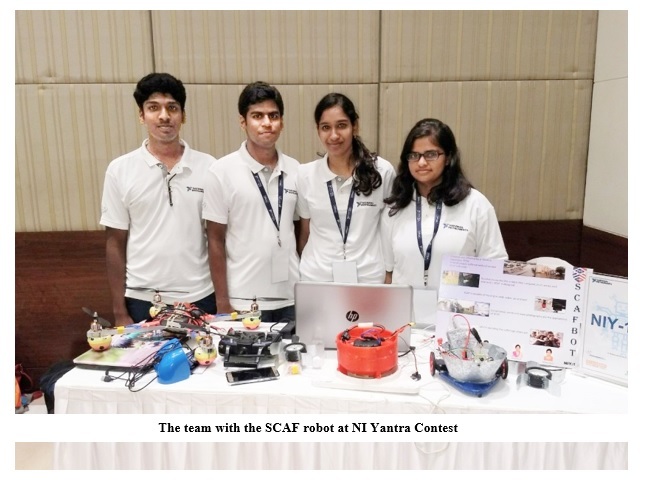 A team of Abhishek K, Ashok Ajaykumar, Monisha G and Sujanya S of final year ECE, PSG iTech was one of the finalists in NI yantra 2k17 project contest held at ITC-Gardenia, Bangalore .They demonstrated their project SCAF (Swim Climb and Fly) robot which is a surveillance robot capable of swimming, climbing, wall navigating in land and flying which was inspired from Chennai floods in 2015.The above Robot presentation was one among the top 25 projects selected nation-wide for demonstration in the NI Yantra Project Expo. 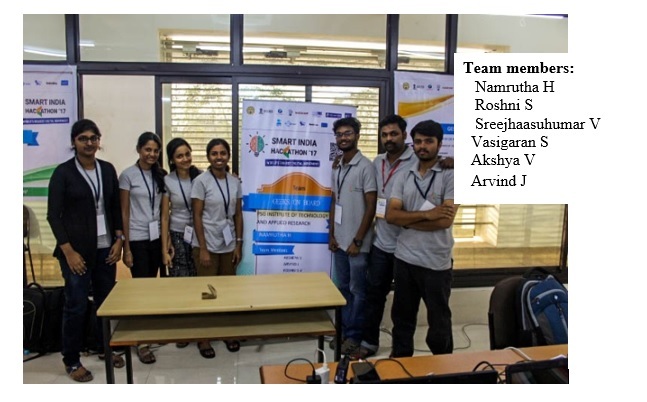 The project "Track your coach" was developed and submitted in the Event "Smart India Hackathon 2018" held at Nagpur on 1st April 2017. The participants won 5th prize and it was awarded by ministry of Road Transport and Highways. Track Your Coach is an Android application to facilitate smart public transportation in India. This project helps to track nearest bus stop. The user can also have a view of list of busses for a particular destination and selected bus can be tracked using this application. It makes use of GPS for location tracking and Aadhaar card to make digital payments. 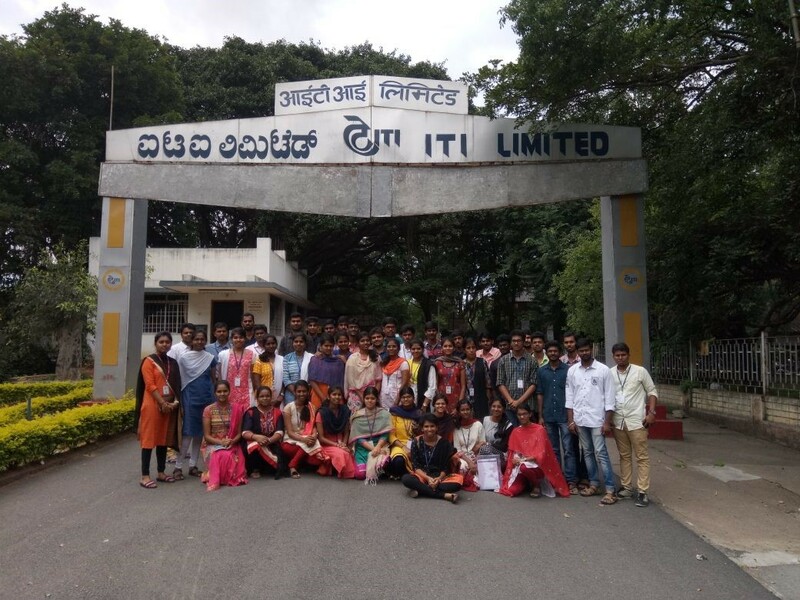 An Industrial visit was organized for the students of II-year Electronics and Communication Engineering from 31st August 2018 to 1st September 2018. 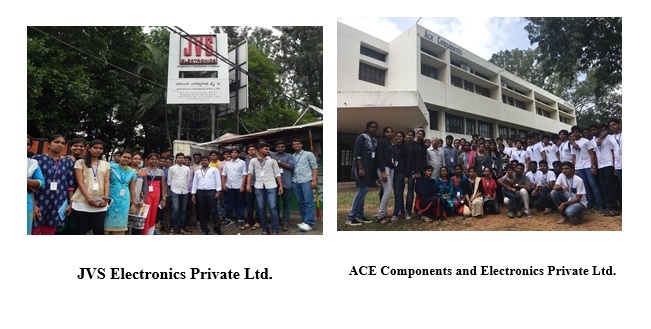 53 students along with 2 faculty members, Dr M. Jayasanthi (Associate professor) and Mr. M. Jothibasu (Assistant professor) of Electronics and Communication Engineering department visited two companies: JVS Electronics, Bangalore and ACE components, Mysore. 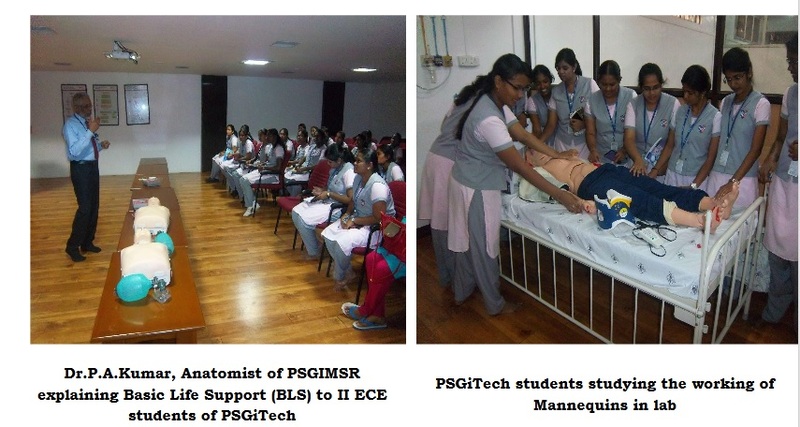 The girl students of I, II and III year ECE along with six faculty members, visited the Centre for Clinical Simulation and Research laboratory at PSGIMSR on 23.01.2018, 30.01.2018 and 06.02.2018. Dr.P.A.Kumar, Anatomist and coordinator of the Clinical Simulation and Research laboratory, insisted the importance of Basic Life Support (BLS) which every individual should be aware of. 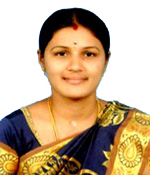 The function of low-fidelity and high fidelity mannequins was explained by Dr.R.Divya, Physiologist. Industrial Visit to Indian Telecommunication Industry during 15.09.2017 and 16.09.2017. Indian Telecommunication Industry (ITI) is the India's first Public Sector Unit (PSU) established in 1948. The company offers a complete range of telecom products and total solutions covering the whole spectrum of Switching, Transmission, Access and Subscriber Premises equipment. It has six manufacturing units and their headquarters is at Bangalore. 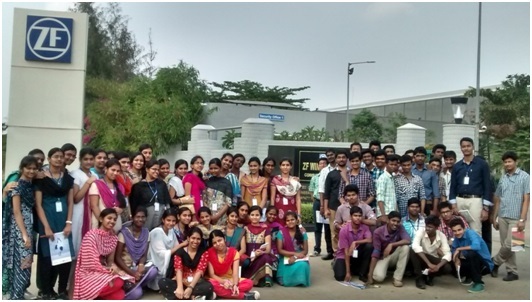 Industrial visit to ZF Wind power Coimbatore Ltd.